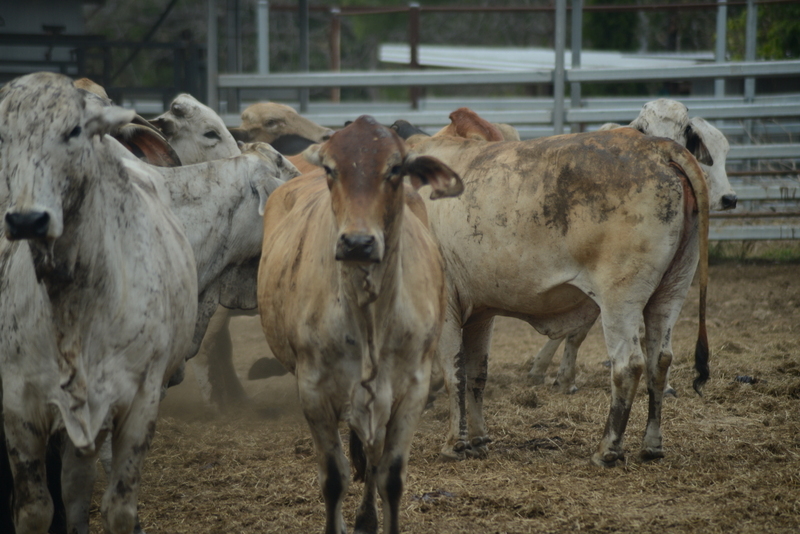 We breed cattle here on the coast, and fatten or grow them out over the range on country with a bit better soil. Our soils here are generic coastal duplex: a coastal clay layer underneath with a mix of bulldust and sand on top. They look good when the wet season’s on, but don’t have any water-holding capacity. We bought in here in 1999 and 2000, and had managers on-farm. We set about building cattle numbers, because we started with not very many. By 2007/08 we were in a position to move here full time to manage and work the farm ourselves. We had to be able to justify walking away from full-time employment, with the cash flow to sustain further growth and living. Since that time we went through the 2009 drought, which was virtually straightaway. This was a terrific learning opportunity in hindsight, as well as a bit detrimental to cattle numbers and production. Our land is about average-sized for this area, and we have one full-time employee. 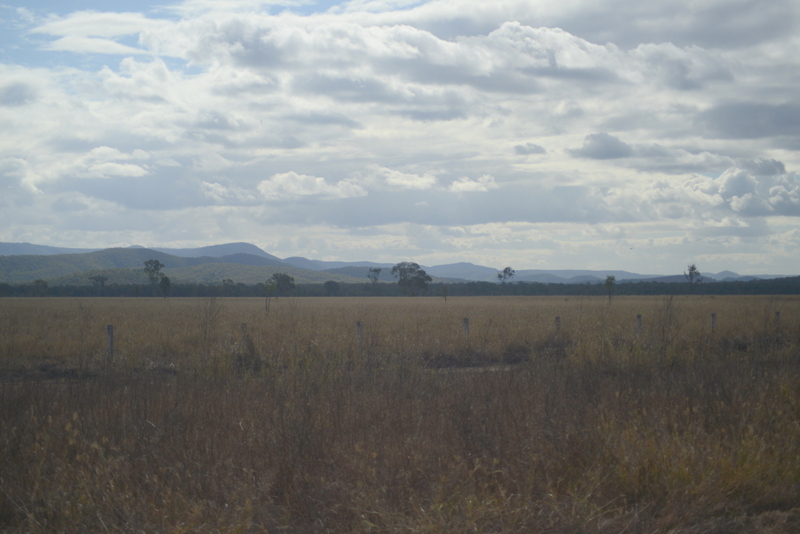 We also have an irrigation farm at Millaroo in the Burdekin, part of the Burdekin Irrigation Scheme. Sugar was a strategy for us a few years ago because the cattle market was getting too dear and we wanted to expand and to grow into another industry that was really starting to take off. We were in a position to do that as part of our strategy, and I like the certainty that goes with irrigation, so we invested. We usually produce an average of 21,000 to 24,000 tonnes of cane every year on 280 hectares. We have another man there to manage it. 99% of our physical work is on the grazing properties, and it’s probably a 60/40 split on management work between grazing and sugar. 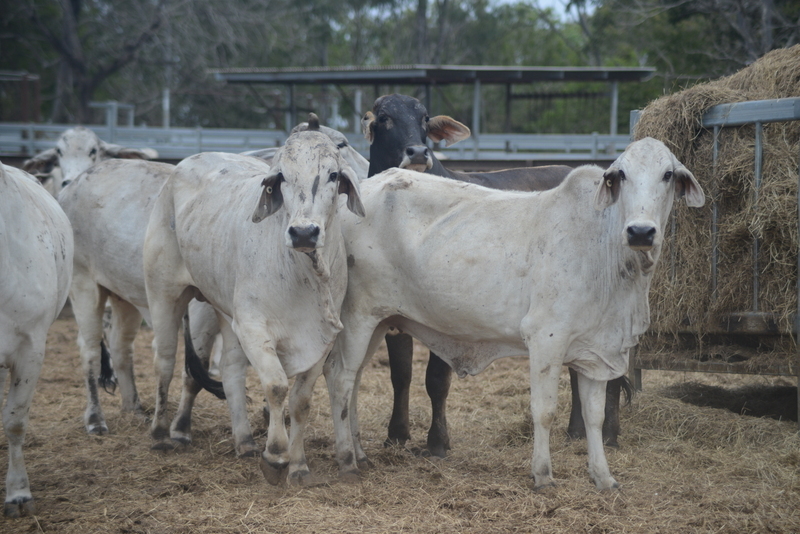 We mostly have high-content Brahmans here. That’s about cost and survival – you can put less maintenance and less cost into them, because they can handle dry heat and humidity better than many other breeds. And at this time of year [winter], when the nutrition is just not in the grass, we can feed them to get through a lot cheaper than if you had European-type cattle. Because we’re trying to keep costs down to a minimum, we forgive a little bit of performance, I suppose. 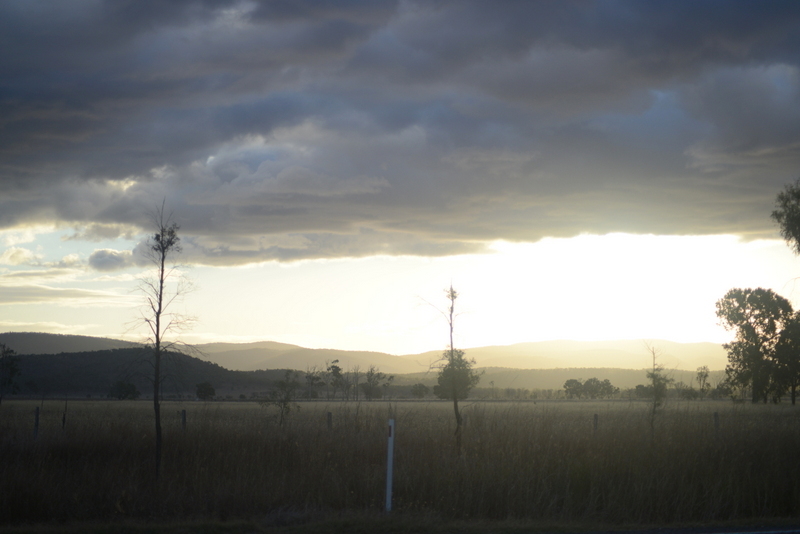 Rainfall’s variable, like it is everywhere in Central Queensland. Generally, come February, it does rain in this country. Talking to locals around here and family members, I’m not aware of too many years when it’s totally and utterly missed a season. Our long-term average here is about 28-30 inches (711-762 mm) of useable rain. You might only get a couple of 2-inch rain events over the wet season, but at least it will rain. My goal is to make sure that, with limited rainfall, the ground cover is such that the grass doesn’t have to come from seed and need four rain events before it’s of any use. 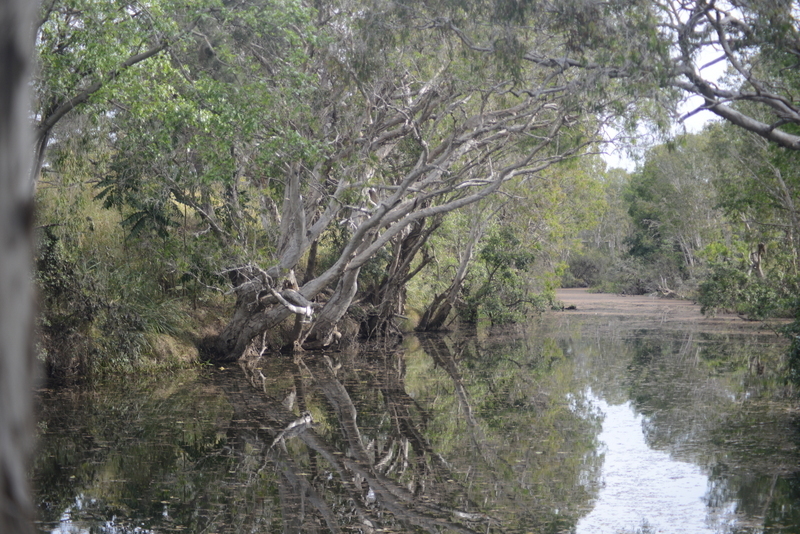 We’ve never seen a wet season where the creeks haven’t run and filled water holes – it doesn’t take much for them to burst their banks and flood out. Here on the coast the water’s up and down within a day. But we’ve probably only seen high floods that have caused us grief or damage with two cyclone events in the last 10 years. Our infrastructure is not on the flood plain – it’s only barbed wire and posts that are easily replaced when it floods. We won’t put wells, windmills or pumps in there. 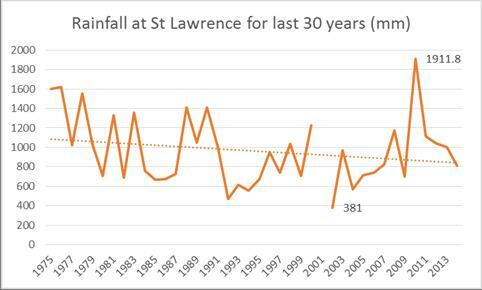 I can remember Cyclone Charlie and Cyclone Ava in the early 1990s, when Charleville flooded and there were places that recorded 24 inches in 24 hours. Those rain events have been around ‘since Adam was a boy’. A couple of years ago with Cyclone Oswald, we had about 18 inches in 12 hours or so, 3 of which was useful, and the rest went out to the ocean. We can get a cyclone with a rain dump of 18 inches and spend 3 weeks fixing up all the fences. We’ve been on the edge of cyclones – especially at the start of this year with Cyclone Marcia, on the western side of it. We were extremely lucky not to experience anything that some of our peers did only 50-60 kilometres south of here. Where this country falls: if we get a cold winter, and heavy frosts, the nutritional value of the grass will drop and, unless we started winter with late rain and moisture in the soil, it can become a long time until the wet season. It doesn’t happen all the time, but for the last two years it’s happened severely. Last year  we had a number of frosts in a row. This year  we’ve only had two, but one of them was an absolute corker. A lot of people around here said they’ve never seen anything so cold and bitter, and it just wiped out paddocks and paddocks full of grass, nutrition-wise. The last two years have been significant, which we’ve never seen. I’m sure it’s happened in the past. This country can handle a light frost. There’d be the odd day in the middle of summer that might hit low 40 °Cs, but generally on the coast we don’t get baking hot. We get the privilege of a sea breeze that takes the edge off it. But there’ll be lots of 36 °Cs and 38 °Cs with very, very high humidity in the middle of summer. The 2009 drought was a terrific learning opportunity in hindsight. It was also a bit detrimental to cattle numbers and production. What we learned from it is that it is a little bit different here on the coast from a lot of other places, in that cattle will slip, even with lots of grass in the paddock. We can grow grass in a wet season, and a huge volume of it, but as soon as it gets cool in winter, its value drops. I didn’t want to do the traditional way of flogging the land, putting a lot more numbers on it, using the grass so there was nothing left in winter time. From what I’ve seen around Queensland, ground cover is sacrosanct and you can’t live without it – your soil chemistry doesn’t function without it over time, and it’s the basis of all agriculture. So we try and manage here to keep as much ground cover as we can, especially at the end of the dry season. It lets us use all of our rain events, rather than starting from bare dirt. Over the last 10 years, we’ve embarked on a strategy to figure out how to use old grass and make it valuable. Rather than burning our pastures, we use a combination of old grass, molasses, urea and supplements, from when it gets cool in winter until the wet season cracks. We still burn every now and again, strategically, to allow new grass to come. For instance, this year  following a severe frost we’ll have to burn significant areas. It depends on what the pasture is like and what the winter’s been like with respect to the number of frosts and how bad that grass is. My golden rule is that I will only ever burn from November 1 to December 30. If there’s too much risk – like after last year’s failure of the wet – then I just won’t burn. As soon as it rains, it’ll come straight back. 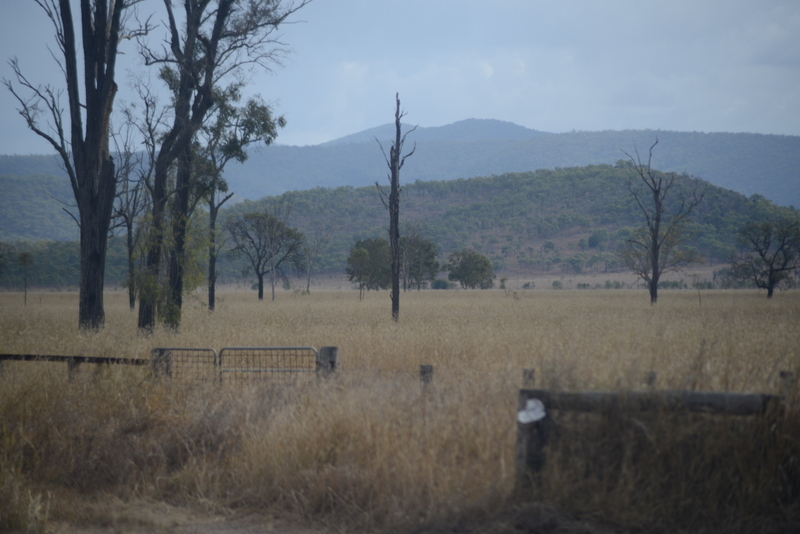 Our average-size breeder paddocks are usually 3000-4000 acres – 6 of those paddocks with between 250 and 400 head in each – and one big paddock that goes up into the mountains without a fence at the back. 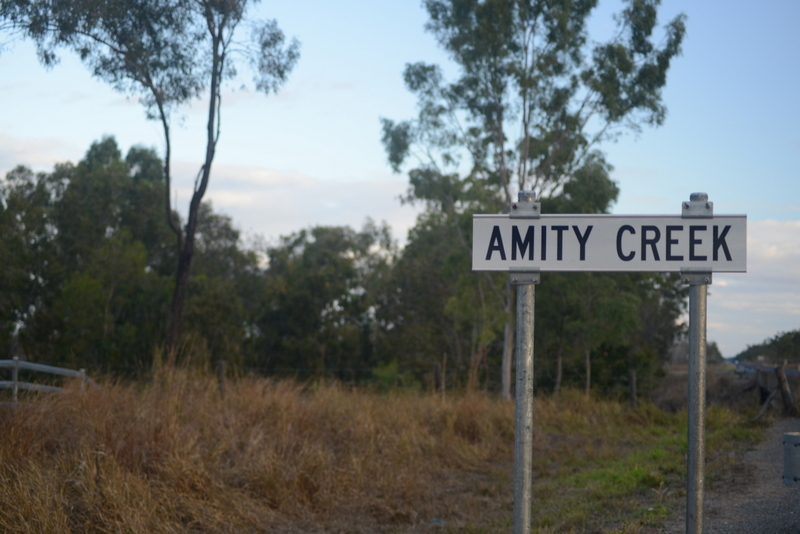 We’ve embarked on a fencing program over the last 5-6 years, splitting the breeder paddocks into three or four so that we can do a basic rotation and allow a wet-season spelling of at least three-quarters of those paddocks. We’ve so far divided four of those paddocks up – we’ll do the other two as cash flow and time allow. I’d prefer to put more cattle into each paddock, to mulch old grass into the ground, but that gets a little bit impractical in big paddocks. There’s tremendous benefit to a wet-season spell for our stylo grass growth, even over 6 weeks and when the heat and humidity’s on, which will be felt for a lot of years. The function of stylo increases as a function of its size. When we bought the place it was traditionally grazed with set stocking in paddocks. As we’ve subdivided paddocks and given them a wet-season spell, a lot of native grasses came back from a lot of weeds and couch. All but one paddock has responded extremely well. For us, I think native pastures give you a lot more options when it gets dry, and you’d be able to carry cattle for a little bit longer. Natives are also a lot more productive and palatable. We want to foster those grasses, and as a general rule the native grasses that were in here 100 or 150 years ago were productive. The paddock that hasn’t responded to wet-season spelling I think hasn’t got the seed reserve of the natives in it and we’re going to have to look at mechanically putting in something like Rhodes grass or Pangola Grass, introduced species with stylos in them, to try and get those paddocks to recover. We haven’t taken satellite photographs to work out the acreage that we’re returning to native pasture, but anecdotally there’s more of the preferred pastures every year in the paddocks. My goal is to make sure our grass is ready in one or two rain events, with the limited rainfall here, and of use to cattle. We try and match our calving for the seasons. A lot of grazing results will determine what happened last year, not this year, because of nutrition with females. We’re due to calve in September, which means that peak nutrition needs are in November. Eight years out of 10 we’ll have our green day in December [the most preferred time to join the cattle], and put the bulls out on December 1 for next year’s calves. It’s just the 2 years out of 10 where we’ve got to come up with a strategy to (a) keep our costs down, but (b) make sure we’ve got satisfactory performance so that we can pay bills in the future. This year  our calving percentage wasn’t that good, principally because of last winter. Because the condition on the cattle was fairly good, we didn’t recognise that the nutrition was slipping and we should have stepped in and fed. We saved in feeding, but achieved a low calving percentage. Our long-term average for calving is 73 percent. Of course, there are certain things in cattle work that you can’t be flexible about, branding and weaning, for instance. In this country you have to wean early, otherwise you’ll lose body weight on your cows in wintertime. 15 years ago we decided that November 1 would be the day we joined the cattle. We did that for 10 years, but the last two years we’ve changed it to December 1. You can’t fight nature, not every year. It gets too expensive. working at the optimum point of the graph for production, not the maximum. In my opinion, the most successful farmers in Australia focus on costs first before production. Production is important, and it must be worked up to on the cost curve, not from the maximum production point. You will only get your costs down when your production is at the optimum. 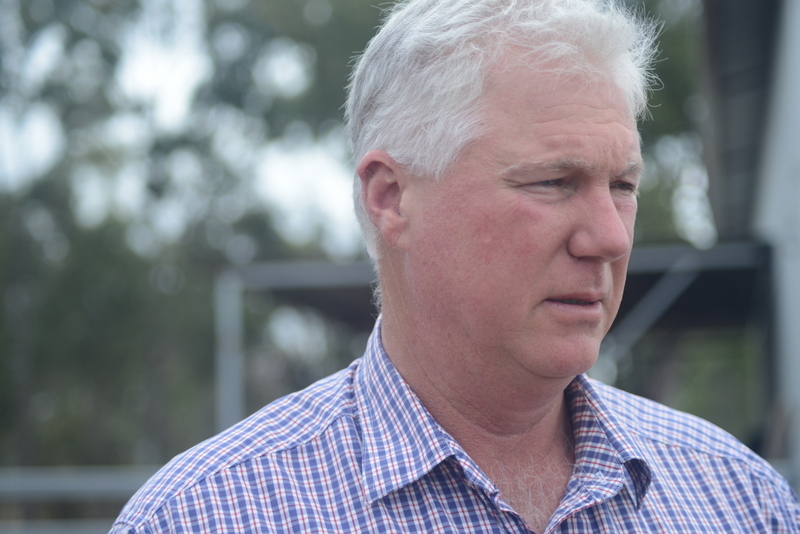 Long term, my goal is to have a resilient business that can handle an extended dry season, be able to recover and be in good economic health – that takes getting the production right and your costs down, and level of debt down too. Short term: Well, in a season like this you agonise over what is the best feeding regime for livestock. It’s a trade off. You can easily go and spend $50 a head on cows to ensure you’re going to get a calf next year, as well as wean a calf. What’s the trade off at $30 a head? You’d get a 75-80 percent weaning rate. I have to figure out the best ‘bang for buck’ so that I’ve still got a healthy bank balance and calves on the ground next year. I run the operations as a business, not as a lifestyle – otherwise I don’t think it will work. The cost-price squeeze has been in agriculture for 200 years; it’s going to continue, so we have to be efficient. I also value flexibility in my budget. When I sit down and work a budget out, I’ll build in different scenarios to give myself breathing space. It means I’m not tied down to one particular course of action for the next 12 months, and I’ve got options during the year. There’s no golden rule for a season. Every season’s different, every year’s different: starts different; ends different. The future and the way we manage year to year depends on the cattle market, the season, the climate, the environment… which we won’t know until we get there. The climate-dependent part of our work in the cane business is making sure all the agronomic work is completed before the wet [season] starts, so the crop is effectively primed to grow to its maximum. We also try to manage day-to-day operations by looking at weekly or monthly weather forecasts to cut our risk and have our irrigation schedules lining up with more favourable weather events. We calibrate evaporation, irrigation and cane growth for water use efficiency, and optimum growth. And for spraying weeds: we’ve only got a certain window to do this, and we don’t want to have a rain event or a significant wind event during that. We can’t have a week of howling southerlies when we’re trying to spray weeds. So we try to coordinate our irrigation schedule, and our harvesting and spraying cycles. At this time of year [August/September], I don’t look at any climate information because it’s just not going to make you feel too good. But on the other side of September, going into October, I’ll be on the Internet every day on the BOM and Weather Zone sites trying to figure out what’s going to happen the week ahead. That’s because if it hasn’t rained by October, every week’s going to be important until it does rain. I also look at multi week forecasts and seasonal climate outlooks, but I find the weekly forecast is a lot more accurate to work on. 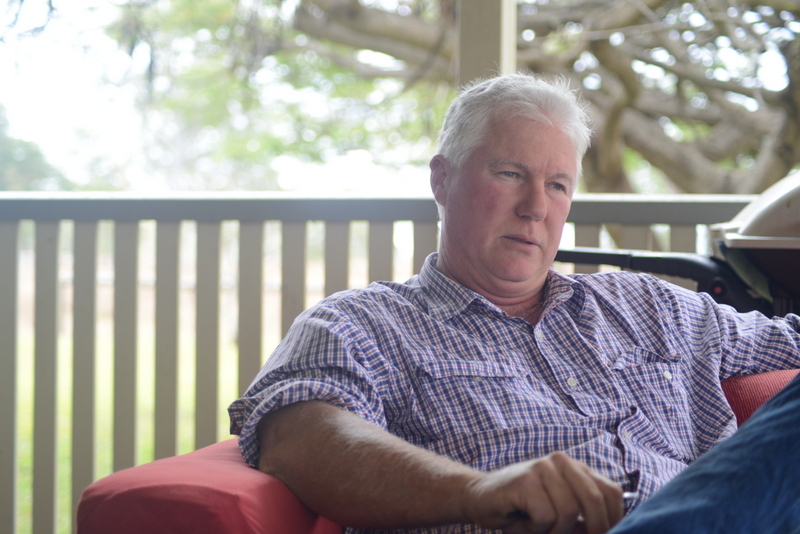 We were part of the CQ Beef Group that the local department of primary industries in Rockhampton set up, and I’m involved with the Fitzroy Basin Association, the local NRM group. We did a couple of projects with fencing with the Fitzroy River Coastal Catchment and the Fitzroy Basin Association – they do a fantastic job. We also got involved with the Grazing Best Management Practice as a producer representative about 6 or 7 years ago. Without a doubt, you can’t reinvent the wheel yourself every day – so it’s important to talk to as many people as you can, get as many ideas as you can, and be as open and honest as you can with your own results so that you can improve next time. And what we’re doing is a lifetime of learning and fine-tuning. You’re never going to get to that holy grail but we’ll get closer and closer every year, I hope. One reason I was attracted to the MCV Climate Champion program is to have a voice – we’re likely to have different priorities from other interested groups and we want producers’ voices heard. And I’m very much for research on everything we can, so long as it’s got an economic basis for us. I’m looking forward to seeing more research on pastures.